Many of us look at a sunroom as the perfect way of creating extra space in an area which combines indoor and outdoor living. Among the reasons why homeowners employ a sunroom contractor is the chance to bring the outdoors in. A more important reason for those suffering from seasonal depression is to allow natural light therapy to be used to overcome the symptoms of this serious psychological condition. Seasonal affective disorder, better known as SAD, is often referred to as the winter blues brought on by a lack of light and activities during colder months. However, a sunroom can fight many of the issues associated with SAD through the use of natural light flooding into these impressive architectural additions to any home. 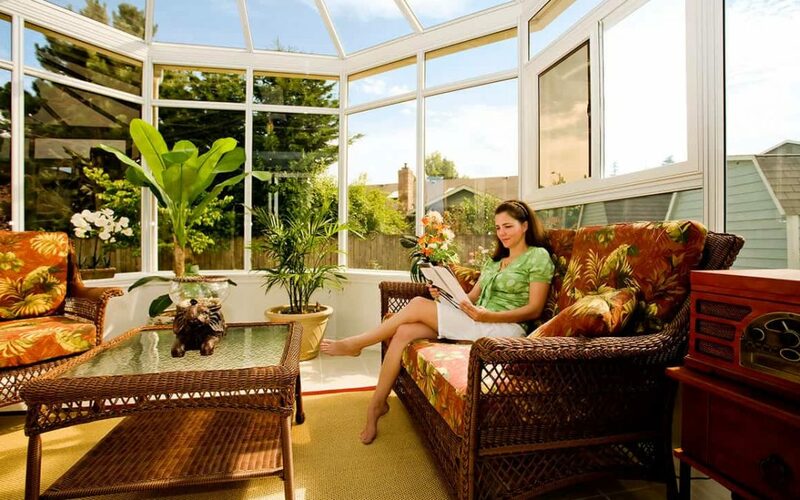 A sunroom contractor is an important part of the process of overcoming seasonal depression because sunlight contains a range of vitamins, including the difficult to consume B-12 which improves mood. More than 10 million Americans are thought to be affected by Seasonal Affective Disorder with another 10 to 20 percent of U.S. citizens thought to have some form of this psychological condition. Women are four times more likely to be affected by SAD and often feel the benefits of sunlight as the most important factor in battling their symptoms. Among the symptoms of SAD are weight gain, problems sleeping, and fatigue. These all play a role in the inset of the condition. Light therapy is often used to treat the seasonal affective disorder with between 30 and 60 minutes per day of sunlight or its artificial versions recommended. By using a sunroom one can spend as much time as possible enjoying the benefits of sunshine and the vitamins associated with sunlight. An expertly designed sunroom can make a huge impact on those suffering from seasonal depression. Benefits include not only feeling better, but the ability to sleep better and maintain a healthier, more active lifestyle.